Nicolette Jones compares the careers and public profiles of Enid Blyton and J. K. Rowling. YOUNG readers in Ross-shire have been voting for their favourite books of the year. Along with children from all over the Highlands, the youngsters have all been busy reading, reviewing and voting for their top titles for Highland Council's Children's Book Awards. And at a ceremony held in the Strathpeffer Pavilion last week, the award winners were announced. Sharing the top prize for the picture book category was Ed Vere, for The Getaway, and Niamh Sharkey for her book I'm a Happy Hugglewug. Winner of the eight-plus category was Richard Hamilton, with Ghostboy and the Moonbalm Treasure, and the 12-plus award went to Tim Bowler for Frozen Fire. A 72-YEAR-OLD children's author from Wood Green was fatally injured last Thursday in a collision involving a double decker bus on a zebra crossing. Friends paid tribute this week to grandfather Douglas Hill, of Maryland Road, who was walking along the junction of Aldermans Hill and Green Lanes, in Palmers Green, when the accident took place. He was pronounced dead at the scene. 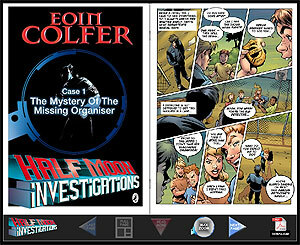 To celebrate next month's launch of Half Moon Investigations in paperback, Puffin Books has created a web comic of Eoin Colfer�s best-selling crime adventure, bringing to life an extract of the plot line and characters featured in the book. There are clues throughout the comic strip to help readers solve the crime which hero Fletcher Moon is determined to get to the bottom of. John Royle, one of the Spiderman comic book illustrators, is responsible for the artwork. The comic strip can be viewed here: http://www.halfmooninvestigations.co.uk/comic/ along with various partnered kids, books and entertainment sites. 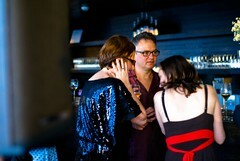 The gallery from last week's Puffin Party is now complete. Access it via this Guest Pass link from Flickr, then view the slideshow. There are 69 shots in the full set. If you can only see a far smaller number, the Guest Pass isn't working for you and you need to let me know. Craig finishes her piece ibserving: "Boys are supposed to stick to manly adventures by Higson, Muchamore and Horowitz but have hearts � and sit exams � too. It would be good if there were more to cheer them up, because while my daughter squirrels these away and rocks with laughter my poor son is left with Tintin." It's no secret that I found Meg Rosoff's first novel deeply flawed and disagreeable in its use of armed invasion and violence as a backdrop. Her second novel, which has now won the Carnegie Medal, is clever but cold. Clearly I am in a minority (possibly of one) in finding that Rosoff's voice does not speak to me. I'm a huge fan of Grey's work, and delighted by this choice. Continue reading Top Of The Lists. 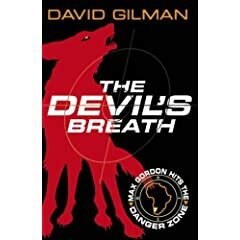 this is a solid first instalment; the descriptions of the Bushmen are fascinating, and the big set pieces are always exciting, ensuring that readers will race through this enjoyable adventure story..
Two authors I haven�t previously liked have novels worth recommending on this subject. Cliff McNish wrote The Doomspell Trilogy and the Silver Sequence, which generated gigawatts of supernatural suspense but never found a satisfying storyline. But Angel, his eighth book, follows the acclaimed Breathe and shows how practice makes perfect. Siobhan Dowd�s grim tale of a teenage pregnancy in Ireland, A Swift Pure Cry,won numerous prizes last year, but I much prefer The London Eye Mystery, not least for its tender comic ebullience. The presentation was made at the Centre for Literacy in Primary Education on Wednesday June 13th 2007 by Ian McMillan. 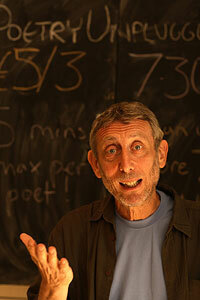 Big Guardian feature on the new Children's Laureate, Michael Rosen. The series cost �1 million per episode to film (on location in Tunisia and Malta), making it the most expensive British children's TV series to date. It stars Simon Callow, Nicholas Farrell and Liz May Brice and has cinematic sets, costumes and soundtrack. I have chosen to link this blog entry to the author's account of her appearance at the Hay Festival, which focuses on her movingly recorded encounter with Peter Falk, the actor who played Colombo in the TV series of that name. Undaunted by the spam-related problems experienced on their Kevin Brooks microsite, Penguin yesterday announced the launch of a pioneering online book community for teenagers. Spinebreakers.co.uk will be a stimulating and entertaining portal into the world of books, run by teenagers themselves. Editorial control of the site will be in the hands of a core editorial team of nine teenagers aged between 13 and 18 years, supported by a large network of contributing teen editors from across the UK. The teen editors will begin bringing the site to life in July with an intensive four-week internship at youth marketing agency Livity who Penguin have teamed up with to create spinebreakers.co.uk. Working with journalists, authors, editors and web designers, the teen team will produce a wide variety of multi-media content including video and audio reviews, alternative book jackets and endings, soundtracks, author interviews, podcasts, blogs, short stories and much more. It sounds like a considerable investment and ACHUKA gives the project every encouragement. This announcement (June 4th) passed me by a coule of days ago and hence, annoyingly, was not included in today's eLetter update (now active again after a brief hibernation). Continue reading Boston Globe - Horn Book Awards. Andrea Deakin's newsletter for June. The June edition of Darren Shan's online newsletter (we've said it before, but it bears saying again, the most regular and informative author fanzine ACHUKA has ever seen) contains full dates for his summer tours (in the UK, Ireland and the Far East). "I'm going through a rather bleak phrase," admits Gliori. "My appreciation of the industry is at an all-time low. I've certainly noticed, and I know I'm not alone in this, picture books have really fallen by the wayside in the past four years and that is reflected in diminished sales across the sector." � "The Adventures of the Dish and the Spoon," by Mini Grey (Alfred A. Knopf). � "Fancy Nancy and the Posh Puppy," by Jane O'Connor, illustrated by Robin Preiss Glasser (HarperCollins). � "Flotsam," David Wiesner (Clarion Books). � "Orange Pear Apple Bear," Emily Gravett (Simon and Schuster). � "Owen & Mzee: The Language of Friendship," by Isabella and Craig Hatkoff, Dr. Paula Kahumbu, photos by Peter Greste (Scholastic Press). � "Clementine," by Sara Pennypacker, illustrated by Marla Frazee (Hyperion Books). � "Diary of a Wimpy Kid," by Jeff Kinney (Abrams/Amulet). � "The Invention of Hugo Cabret," by Brian Selznick (Scholastic Press). � "Pick Me Up," by Jeremy Leslie and David Roberts (DK Children's Books). � "The Titan's Curse (Percy Jackson and the Olympians, Book 3)," by Rick Riordan (Miramax Books). � "American Born Chinese," by Gene Luen Yang (First Second Books). � "The Green Glass Sea," by Ellen Klages (Viking). � "Incantation," by Alice Hoffman (Little, Brown and Company). � "Life as We Knew It," by Susan Beth Pfeffer (Harcourt Books). � "Sold," by Patricia McCormick (Hyperion Books). The 2007 Quill Awards will be presented on Oct. 22. More than 6,000 booksellers and librarians will vote for the winners in the 18 categories. The winners will be announced on Sept. 10 and then readers will be able to cast their votes via quillsvote.com for "The Book of the Year." IBBY has announced the candidates for the Hans Christian Andersen Awards 2008. Congress in Copenhagen, Denmark on 7 September 2008.